Speaking at a ceremony at the Department of Foreign Affairs, Duterte addressed claims that during the recent ASEAN summit in Singapore he had missed several key meetings in order to take power naps. Duterte described lengthy international meetings he had to attend as president as a “killing activity” and bemoaned that the reading and preparation often kept him up late into the night. “But at my age, I am not really bothered because I take marijuana to stay awake,” he told the crowd, who laughed in response. Speaking later in the day, Duterte, known for his brash style, brushed aside allegations he had caused offense with his marijuana comment. “It was a joke, of course, it was a joke, but nobody can stop me from just doing my style,” he said, adding that anybody who took it seriously was “stupid”. It also came just days after three police officers were each sentenced to 40 years for the killing of 17-year-old Kian Loyd Delos Santos, who had been incorrectly identified as a drug dealer. 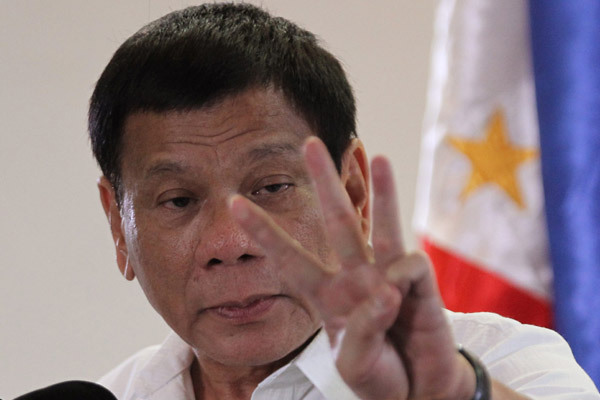 It was the first conviction in Duterte’s brutal war on drugs, which has killed upwards of 5,000 people – mostly the urban poor and even prompted a preliminary investigation by the international criminal court for crimes against humanity.